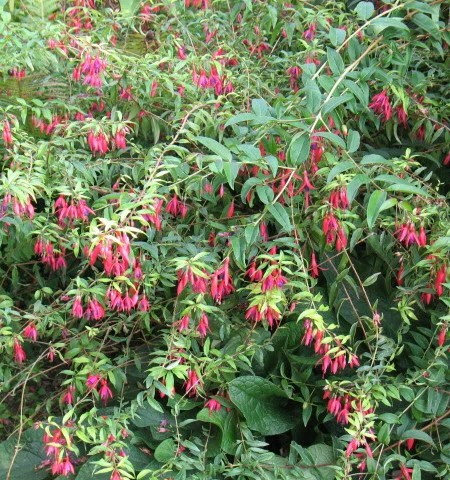 Compact, free-flowering trailing shrub; covered with drooping, small single flowers from mid-summer to frost. 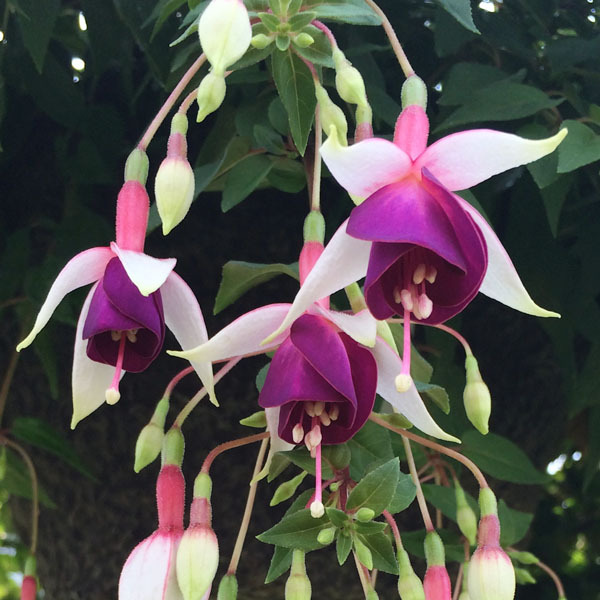 Tubes are a pinkish-red with white sepals and purple petals. 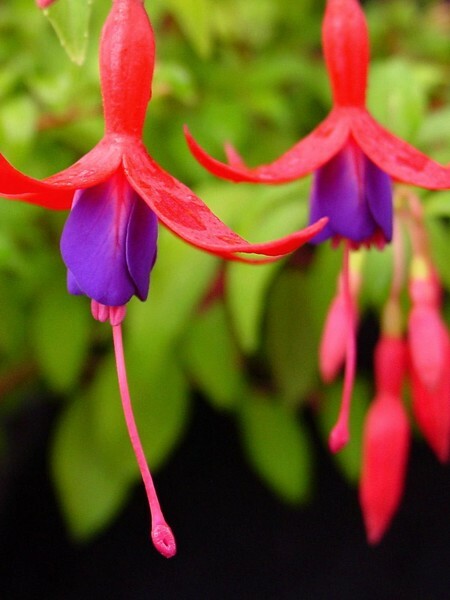 Grows 3-5′ tall. CARE: Plant in shade to part sun. Protect from wind and keep soil moist but not soggy. Can be wintered over if brought indoors. 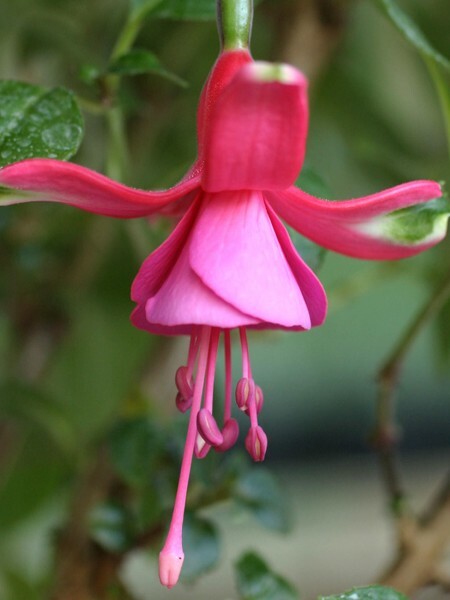 Be the first to review “Trailing fuchsia ‘Auntie Jinks’” Click here to cancel reply.